Does your scrap measure up? TT&E is home to NC’s largest scale system. We have 4 truck scales measuring 70 feet long. Our shipping/receiving scales are 14 feet wide. We can line up 3 cars at a time to check in. We also have a big rig scale off the parking lot. We can accept ANY size load! Our goal is fast, easy processing. This is why we track and record every scrap metal transaction in a computerized system. Every transaction is tracked from entry, weigh in, weigh out and payment. All scales feature large, digital readouts. Our scales are certified for accuracy by the state of North Carolina! 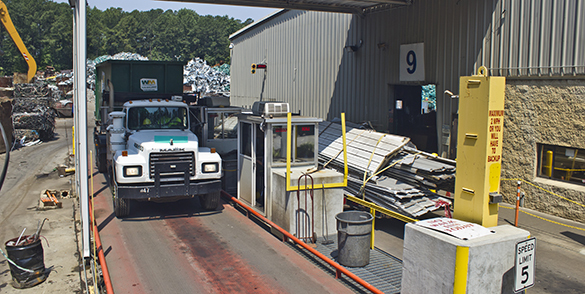 Depending on the size of your load, different weight measure terms are used to determine your amount and therefore, the value of your scrap. POUND: This is the most common weight measurement. Most metal prices are listed by the pound. SHORT TON: This is used to represent a 2,000 pound load, mostly for non-ferrous scrap metal. LONG TON: This is equal to 2,240 pounds and is often used as a weight measurement for steel and iron – or ferrous metal scrap. If you are new to scrapping, we hope this introduction to types of weight measure helps you. When visiting a scrap yard for the first time, it is good to know how your scrap metal will be measured, and how much you will get paid for it based on the scale used. 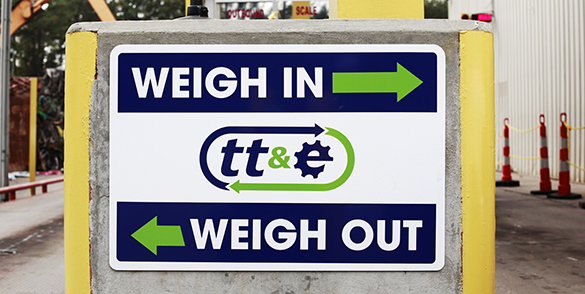 Lastly, if you are unsure about how your scrap will be weighed, just ask us! Our friendly, courteous staff is ready to assist you. We are experienced, well-seasoned professionals and we want to make your visit is as smooth and profitable as possible.